Researchers will target neurons in real time to improve existing electrical-stimulation therapies for mental-health conditions. Before playing a guitar, musicians tune the strings to particular frequencies to get the pitch they want. Starting this week, a team of neuroscientists in Australia will apply a similar tuning process to human brains as part of a study to recalibrate abnormal neural patterns to a healthy state. The group, at Monash University in Melbourne, is conducting one of the first trials to use electrodes on people’s scalps, both to monitor their brain activity and to provide customized electrical stimulation. By tuning groups of neurons to specific frequencies, the team will attempt to alleviate people’s depression and other mood disorders. The Monash team is one of several around the world experimenting with such ‘closed loop’ systems — where stimulation is directed by the patient’s brain activity, which is in turn altered by the stimulation. Researchers hope such techniques will offer a better way than current stimulation techniques to correct abnormal brain patterns. Although at an early stage, the approach is a fundamental shift in the field and seeks to offer more personalization than is possible with brain-stimulation treatments routinely used in the clinic. Other teams, in the United States and Europe, have trialled closed-loop brain stimulation to treat Parkinson’s disease and for cognitive training, but the Melbourne team is among the first to use this approach for mood disorders. Existing forms of brain stimulation that have been available for decades typically apply the same stimulus to all patients, says Paul Fitzgerald, a psychiatrist at Monash who is co-leading the Australian study. This one size-fits-all model has had modest success, he says. Studies report that about half of all people with depression respond to transcranial magnetic stimulation (TMS). “It’s not bad, but it could be a lot better, which is one of the reasons why we’re looking at more personalized measures,” says neuropsychologist Kate Hoy, who will co-lead the trial. Hoy says the large variation in people’s responses to brain stimulation results from differences between individuals, as well as within a single person. Researchers think that tailoring the stimulation current in accordance with a readout of a person’s own brain activity will increase the treatment’s success. The big advance in this approach is that it combines stimulation with technologies that monitor brain activity in real time. “It’s still an emerging area but it does feel like a paradigm shift,” says Hoy. The Melbourne trial will use transcranial alternating current stimulation (tACS) to tune brain frequencies, combining it with electroencephalography (EEG) to record electrical activity in the brain. The team chose to use tACS because it is better at entraining neurons to fire at specific frequencies than are other stimulation techniques, says Fitzgerald. Over the next nine months, the group will conduct safety and efficacy trials in about 80 healthy people; further trials will be carried out later in the year, in people with depression. Other groups are studying how closed-loop systems might enhance cognitive functions such as memory. A US group is using tACS with EEG to target slow wave oscillations that occur during sleep in a trial of healthy volunteers. One of the study’s leader, neuroscientist Vincent Clark from the University of New Mexico in Albuquerque, says the technique could be useful for patients with memory disorders in the future. He plans to present the trial results at an international meeting on brain stimulation and imagining in Singapore in June. Researchers hope that closed-loop trials will provide direct evidence of the relationship between brain frequencies and mental disorders, says Stagg. Although people with depression display abnormal oscillations in particular brain regions, neuroscientists don’t know whether abnormal neural firing is causing the condition or whether it is a symptom triggered by other factors. Researchers are excited about the potential of closed-loop systems, but stimulating the brain while recording its internal activity with an EEG is a significant technical challenge, says cognitive neuroscientist Gregor Thut, at the University of Glasgow, UK. 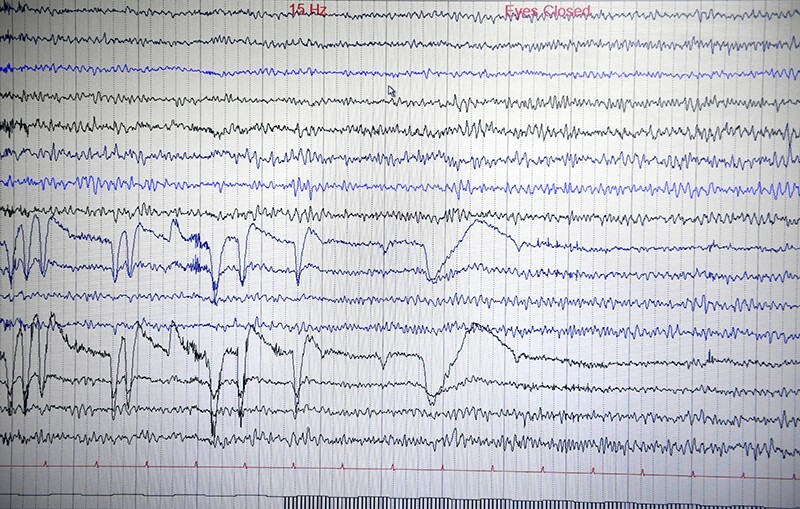 That’s because the EEG machine monitoring the patient’s brain also records the stimulator’s electrical current, which creates an artefact that obscures the natural activity. Fitzgerald says that his team’s custom-built closed-loop system has software and hardware specifically designed to significantly reduce the artefact, but they hope to remove it completely in the upcoming trials. Researchers at the University of Manchester, UK, have also developed algorithms that can partially remove the artefact and are continuing to test these in lab experiments. Many researchers are sceptical whether groups can overcome this issue, says Stagg, but she adds that “if they can show it works, I think it’ll get a huge amount of excitement”.